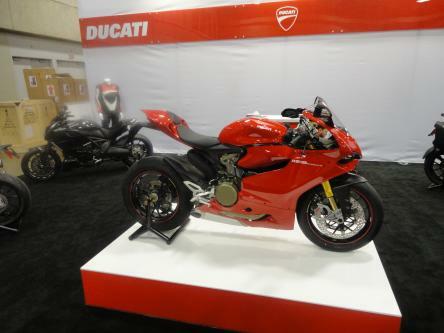 Photo courtesy of the Progressive Internationl Motorcycle Show in NYC. BMW, Ducati, Harley-Davidson, Honda, Husqvarna, Triumph, Victory, Yamaha, Zero Motorcycles are unveiling new bikes at this weekend’s Progressive International Motorcycle Show at the Jacob K. Javits Convention Center in New York City. Organizers contacted Off the Base to let active-duty military know they will be admitted free if they show a military ID. The three days – Friday through Sunday – are packed with North American debuts, one-of-a-kind custom bikes, celebrity appearances such as the World’s Fastest Woman on a Motorcycle, Leslie Porterfield. If you’re not near New York City this weekend, you can also checkout the upcoming shows at other venues HERE including one planned at Daytona Beach March 14-17, 2012. Scientists wanted to find out the reason why people with PTSD can’t sleep and dream normally. One theory comes from Matthew Walker, a psychology researcher at the University of California, Berkeley. National Public Radio report by Amy Standen said that Walker began looking at rapid eye movement, or REM, which occurs when a person dreams. Walker’s theory suggests that in people with PTSD, REM sleep is broken and the body’s adrenaline doesn’t go away like during normal dream patterns. So, the brain just cycles through the same dream, again and again. So, the VA began trials looking at the drug, prazosin, which can take the adrenaline away. Pfizer Inc. introduced the drug under the brand name Minipress in the 1970s to treat high blood pressure. Dr. Murray Raskind, a VA psychiatrist in Seattle, said the drug, now generic, can cost anywhere between 5 and 15 cents and was less effective as a blood pressure medication. This year, the VA is expected to finish up its trial for prazosin. 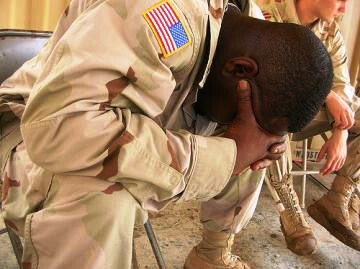 It’s already prescribing the drug to about 15 percent of its PTSD patients. You can listen to and read the NPR report HERE. Associated Press is reporting that all six forces killed in the crash of a U.S. helicopter in Afghanistan were U.S. Marines according to an anonymous defense official. You can read the AP update HERE. A NATO helicopter has crashed in southern Afghanistan, killing six members of the international military force, the U.S.-led coalition said Friday. The cause is still being investigated, but a coalition statement said there was no enemy activity in the area at the time of Thursday’s crash, which brought the number of international forces killed in Afghanistan this month to 24. The coalition did not disclose the nationalities of those killed and would not release details of the crash until the families of the dead were notified. The helicopter crash occurred on the same day that a suicide car bomber killed at least seven civilians outside a crowded gate at Kandahar Air Field, a sprawling base for U.S. and NATO operations in the south. The Taliban insurgents claimed responsibility, saying they were targeting a NATO convoy. You can read the initial news article HERE.